The next time your boss busts you for watching a cat video during work hours, tell him you’re doing it for your well being. 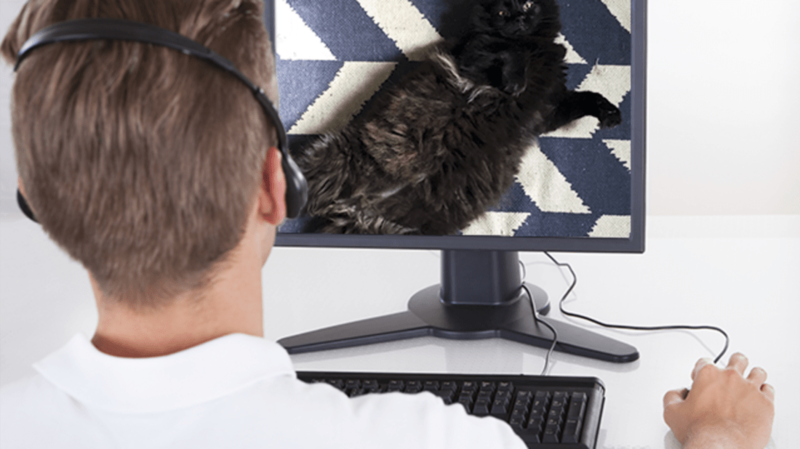 A new study, published in the latest issue of Computers in Human Behavior, has found that viewing a video of an adorable feline boosts the viewer’s positive emotions, gives them an energy bump, and decreases negative feelings. Myrick—who, for the record, owns a pug (she’s allergic to cats)—thinks dog lovers would probably respond similarly to dog videos. And that makes her think that pet videos might have applications beyond just energy-producing procrastination: “There might be a way to use pet videos as some form of low-cost, readily available digital pet therapy,” she says, noting that we'll need more research to be sure.